Product Line-Up — Diversified Data Systems, Inc. Whether its inventory control, RFID systems, or if you need a complete system or upgrade - DDSi can provide it all! Every great system is made out of great parts. DDSI has established "Value Added Reseller" arrangements with the premier vendors in our market to allow us to provide solutions to a wide range of data capture applications. If you would like more information on our warehouse management and inventory control software and/or Automatic Identification and Data Capture (AIDC) Hardware, please contact our sales department. Our flagship product, eWIN, is the ultimate warehouse inventory tracking and management tool. Designed specifically for warehouse inventory tracking, our affordable warehouse management systems is can handle any warehouse project. With QuickBooks integration, it is becoming one of the best choices for small and midsize businesses who seek an affordable inventory control solution. eWIN's flexibility stands on it's rich features and customization options. Take a look to see how eWIN WMS can provide your warehouse with a great inventory management system! NeverOut is a supply chain inventory tracking and replenishment system. NeverOut uses two Artificial Intelligence (AI) based modules to accomplish its tasks. Product to Order Verification System. Many companies require a “Minimum Advertised Price” for internet sales. Others don’t allow internet sales at all. PrOVeS supports anti-diversion efforts for these companies. This process allows companies to track and trace who initially purchased a product when they see it available from an unauthorized source. Donations are the life blood of most homeless shelters and foodbanks. In an effort to secure more donations, most shelters track the types and quantity of each service they offer. Services Rendered is a web-based application that allows homeless shelters to easily and accurately capture this vital information. PASS controls access to secured areas using UHF RFID. 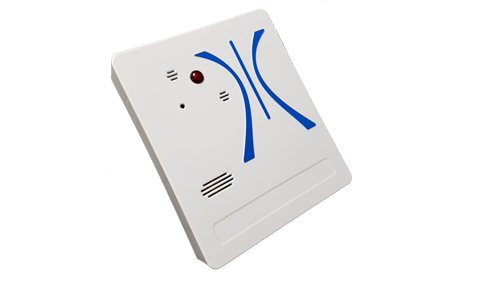 This product reads RFID tags that have been authorized in the system and can be used to trigger a variety of hardware such as locks, door openers, and stack lights. The Shot Tracer® gunshot detection sensors provides fast accurate information to law enforcement and first responders when an active shooter event takes place. It comes in a variety of gunshot detection sensors to fit the needs of different industries. By providing vital information to law enforcement and medical personnel/first responders, threats are eliminated quickly and medical response times are reduced. As a result - more lives are able to be saved . We carry products from all of the premier manufacturers in the marketplace. We can supply Honeywell/Intermec products, Zebra/Motorola products, as well as Xplore, Datalogic, or AML hardware. Please contact us for information on any scanners or hardware for these lines. We also carry printers that include categories ranging from industrial and desktop printers to RFID and mobile printers. We offer Honeywell/Intermec products, Zebra/Motorola products, and GoDex printers too. Communications is a vital component of any organization. DDSi understands this and has partnered up with RingCentral to provide a complete communications strategy, through it's full line of cloud computing-based phone systems that includes: VOIP, Virtual and Hosted PBX, Video and Audio Conferencing, Integration, Desktop and Mobile Apps, Messaging, & Communications Hardware.